Psychologists know that the best way to stay centered and confident is to take control of the things you can do something about—like grooming and self-care. Researchers have found a connection between taking care of one’s looks and happiness. It doesn’t matter which comes first—whether happy people tend to primp more, or whether primping makes people feel happier. The bottom line is, good grooming goes hand in hand with an upbeat life. It is a way of honoring yourself, and the body you were given. The problem is, most of us don’t know where to begin, and in this economy, very few can afford extravagant luxuries, like a vacation to a Mediterranean spa. 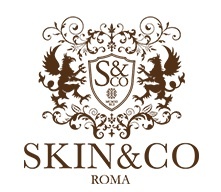 While it may seem counterintuitive, austere times provide the perfect opportunity to declare a personal beauty Renaissance; a commitment to revive your natural inner and outer beauty. Petrarca convinced his 14th century contemporaries to leave the “dark ages” behind and embrace a new era of Humanism, with an emphasis on personal expression, relationships, and the natural beauty of the body. I encourage you to do the same by entering a new phase of putting the emphasis on you. Seeing a visible difference in your skin, hair, and nails, as a result of your own efforts can also serve as a catalyst for the confidence you need to make other changes that enhance your well-being—like eating right, drinking more water, and holding yourself with confidence and dignity. Historical evidence of the importance of self-grooming and beauty rituals dates back to the ancient Egyptians, Greeks, Etruscans, and Romans, as depicted in scenes that remain on their artifacts, murals, and the insides of their tombs. Contemporary Italians are best known for carrying on the traditional philosophy of the bella figura (making a good impression) by caring for their looks, without obsessing over their imperfections. One common denominator in the beauty routines throughout the ages is what epic poet Homer referred to as “liquid gold”. 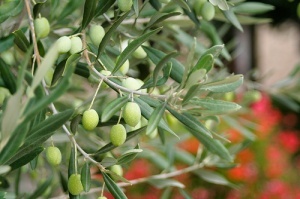 Pure virgin olive oil—at a far lower cost than a weekend spa getaway— has been responsible for the supple glowing skin, strong nails, and lush shiny hair of beautiful men and women throughout history. This beauty secret has stood the test of time in helping men and women of all ages and skin tones look more radiant. Compared to high-priced creams and shampoos, using a drop of olive oil on your freshly washed face, or in your shampoo is a bargain you cannot afford to pass up. And putting effort into looking your best goes beyond simple vanity. Researchers have found that people who look their best are perceived to be attractive and more confident, which, in the workplace, can even lead to higher wages. It may also increase our chances for romantic love, help us to make a good first impression, and in general, draw people to us. Anyone for a drop of olio d’oliva? Dr. Raeleen D’Agostino Mautner is a self-help/personal development expert, speaker, certified Life Coach, Psychology Instructor, and Producer and Host of “The Art of Living Well”, Connecticuts “hottest self-help radio show” on 88.7FM or streaming www.wnhu.net, Mondays 7-8AM. Mautner is the author of two books, including “Living la Dolce Vita: Bring the Passion, Laughter, and Serenity of Italy into Your Daily Life”, has been quoted in many publications, including Family Circle and First for Women. She has written for Psychology Today, The Chicago Tribune, Quirks Market Reearch, The Italian Tribune, America Oggi, and Italian America. Dr. Mautner has made guest appearances on numerous national radio and TV programs. 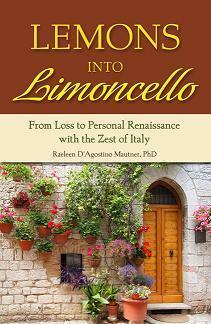 Dr. Mautner’s latest book published by HCI, is called “Lemons into Limoncello: From Loss to Personal Renaissance with the Zest of Italy”. This extraordinary book will help ease recovery and renewal for readers who are going through loss, change, or transition and is all about rebuilding your life following adversity. The cultural wisdom, comfort, and (extra)ordinary Italian lifestyle habits presented can help you re-establish your passion for living. This is a highly rated and recommended book by Italia Living’s Founder/Executive Director, Richard J. Michelli.